You, as a Canadian Citizen, may be asking yourself questions like: Do I need a visa to visit Iran from Canada? Is it safe to travel to Iran? Is there a Canadian embassy in Iran? How can I visit Iran as a Canadian? Read this article to get all the answers. Can I Travel to Iran as a Canadian? What you may here in many social Medias is that Canadians cannot visit Iran. But the truth is a Canadian can travel to Iran as well. Although there have been sanctions against Iran, there is no restriction forbidding Canadians travelling to Iran. So keep in mind that it is completely legal to travel to Iran as a Canadian. But before deciding to visit Iran, you, as a Canadian, may have some questions in mind regarding your trip to Iran. So here is all you need to know before you go to Iran. How to Visit Iran as a Canadian? 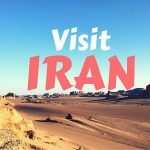 After a two-step process, you visa for travelling to Iran will be issued .At the first step, you have to book a tour or guide. You can book one of our tours here . We will submit an application (using your input) for your Letter of Invitation from the Ministry of Tourism in Iran. No Letter of Invitation = No Visa. Holders of American, British and Canadian passport are NOT eligible to get Visa on Arrival in Iran. You’ll need to provide standard information plus the itinerary of your trip which we will provide, also you need to send a copy of your CV / resume in. – Your education and employment, and if you have had any change in location (countries only). – Marriage / Divorce & name of spouse / ex-spouse. – Children (if any) and their names. 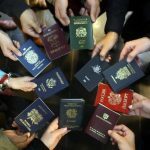 – Other citizenships (if a citizen of more than one country). – If you are retired, please also include your date of retirement. – Any social media IDs. After that our team has submitted your info to the Ministry of Foreign Affairs (MFA) to approve you for a visa, you receive a code. Then you can send or bring your passport and visa form to your nearest Iranian Embassy. As Iran does not have an Embassy in Canada, you can refer to “Iranian interests” section of the Pakistan Embassy in Washington, DC which handles visa applications. You’d better begin to arrange your trip to Islamic Republic of Iran as much earlier as possible—like six months to a year, if you can. If you live in a country other than Canada, US and Britain, but hold a passport of one of these 3 countries, you can get your visa processed by the Iranian Embassy of your country of residence. All information you need for Iran visa is available on our website. Is it safe to travel to Iran for Canadians? Contrary to how your mind is shaped from watching the news, often all tourists feel Iran as one of the safest countries they’ve visited. This is what one of our guests from Britain has stated: “If you were to drop your wallet while wandering Iran’s bazaars or craning your neck to admire its beautiful mosques, chances are that a throng of locals would run screaming after you desperate to return the wallet to you, full of its contents”. To read more on Iran’s safety, click here. Can a Canadian Travel solo to Iran? You can book a trip with one of our tour guides, so this is much like solo travelling. You can have a kind of private tour. This is the closest option to solo travelling for Canadians. If you want to pay less than private tours, you can book our small group tours. 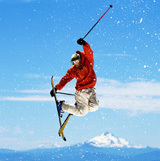 It is cheaper than the previous option and also there is a friendly atmosphere within the group. You can also book large group tours to Iran. During these tours you have the opportunity to find many new friends and enjoy the sites altogether. You can visit seven free zones in Iran, Trade, Industrial and Special Economic Zones, without having a visa. Kish, Qeshm Island, Chabahar, Aras, Anzali, Arvand and Maku. Kish Island is a good choice for example. It is tailerd towards international tourists and can be called a resort island. People from west are going to be asked to indicate proof of building reservations and contact information to visit the island. Ladies will be asked to wear a scarf when they arrive there. They will be offered a scarf when passing through customs and immigration. Travelers are allowed to stay up to 14 days on Kish Island without visa. Anyone with a passport containing a visa/stamp from Israel is refused to enter Iran. If you have got a stamp from Israel you may want to apply for a new and clean passport to avoid any issues in Iran. If you have got traveled to Israel since 2013 you may have understood that it’s normal to issue your stamp on a separate piece of paper and this avoids the matter entirely. However keep this in mind once applying for a visa for Iran if you have got traveled to Israel. Is there a Canadian embassy in Iran? Is Drinking Alcohol and Eating Pork Permitted in Iran? Bringing alcohol into Iran is completely forbidden, so travelers, whether Canadian or not, cannot take advantage of their duty-free alcohol allowance when coming to Iran. Also If you want to bring chocolates from your country to Iran, make sure they do not contain alcohol. Pork is also not available in Iran. Most Iranians tend to eat chicken, beef or lamb, all of which are widely available anywhere in Iran. Ladies should have a headscarf and wear it when they step foot in Iran. When in public, they have to cover their head. Women should also stick to loose fitting clothing. Contrary to what many believe, women in Iran follow fashion trends. Three-quarter length shirts are ok for women as well. If you want to bring your own vehicle into Iran you should possess a valid international driving license and be over 18 years of age. You will also need a carnet de passage, i.e. an international validation for your vehicle to pass through Iran.